It's time to share some of my experiences, crazy ideas, tips and tricks !!! This week I started creating the infrastructure for my vSphere environment. Well, I don’t. (my bad) . So, sometimes I learn the hard way. 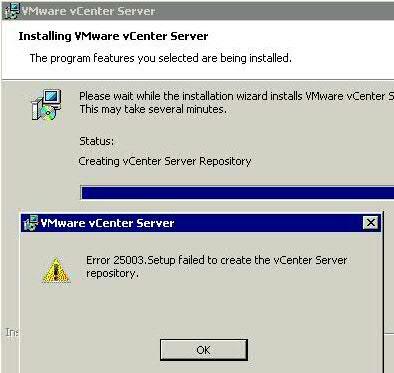 Today I will share what I figured out when installing Virtual Center on a 64bits system. If you are using a SQL 2008 database don’t forget to first install SQL Server 2008 Native Client on your Virtual Center Server. Virtual Center is now 64bits application, so you can use the 64bits ODBC to create it’s DSN connection to the database. OK, my ODBC connections have been created I went through the installation without any problem or issue, but after a few days I started facing a few problems , then, suddenly virtual center service was not starting up anymore…. After some troubleshooting with my ODBC and database I decided to re-install it…. This time I got errors and installation did not proceed. VMWARE has also a good KB about it, but none of the solutions worked to me. After a few hours troubleshooting and making tests I figured out that DBAs have installed SQL 2008 Enterprise R2….. despite the fact SQL 2008 is an supported version R2 is not. So, reinstalling the SQL with the right version fixed my issue. Moral history….. READ THE DOCUMENTATION.